Located at the Museum entrance, this shop offers a great selection of educational, scientific and natural history-related items. The store carries arts and crafts, science and nature kits, jewelry, T-shirts and a wide assortment of books covering topics about Florida and the Southeast, including archaeology, paleontology, plants, Native people and other subjects. 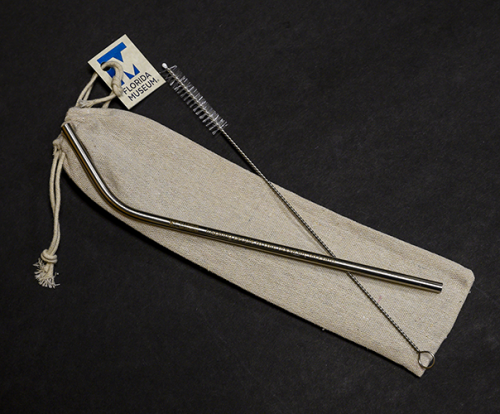 The stainless steel straw sets include a cleaning brush and carrying bag for $4.95. Call 352-273-2041, or email giftshops@flmnh.ufl.edu.